Ash Wednesday is tomorrow, Feb. 14. 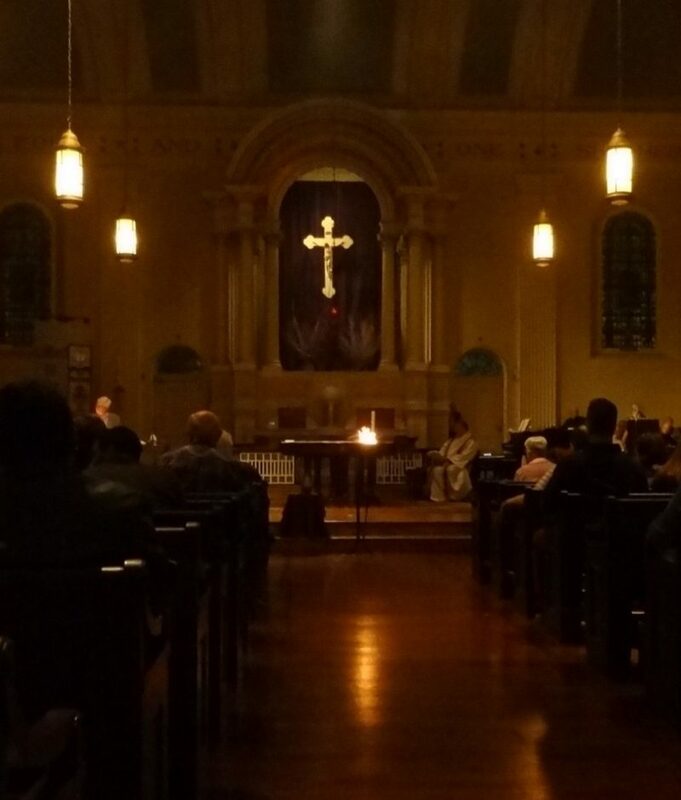 St. V will have its traditional evening (7:30 PM) and afternoon (12 PM) services. Both Masses will be in the undercroft. 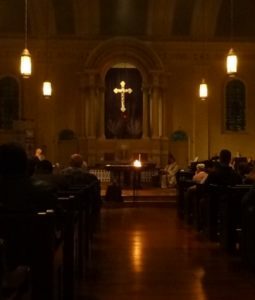 Because of the location, the evening service will be a bit different than our traditional Ash Wednesday Service (pictured), but it will still involve fire. The evening service’s fire (to create the ashes) will be in the flame sculpture in the parking lot. All are encouraged to participate, but you are also welcome stay inside.